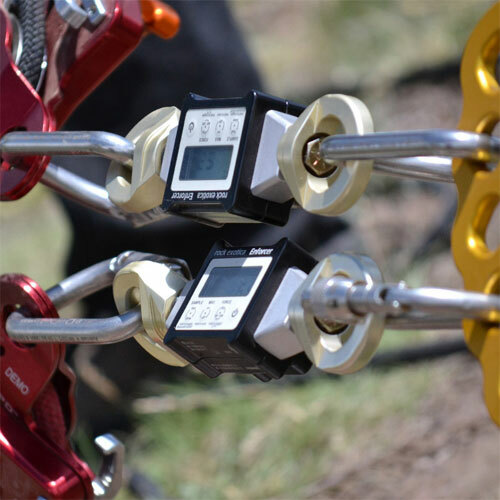 The enForcer is a compact aluminum load cell that measures force up to 20 kN, or 4,496 lbs. 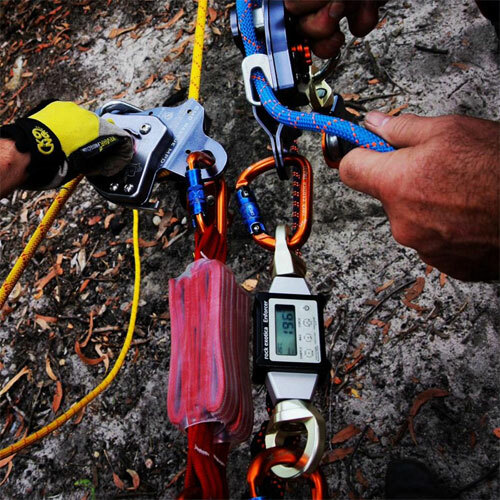 It is ideal for use with climbing and rigging ropes. 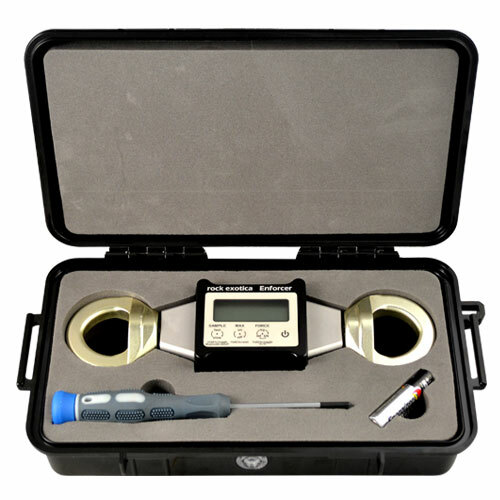 * Utilizing two sampling modes, the enForcer is able to monitor systems and log drop testing in high resolution. Unique features like Bluetooth connectivity with the enForcer iOS App and swivel attachment points separate the Enforcer into a class of its own. 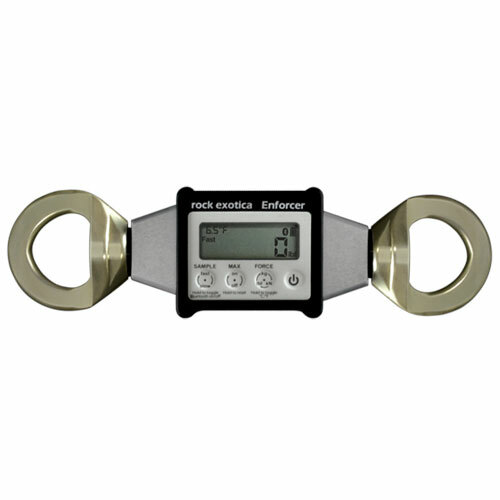 The enForcer App for iPhone greatly expands the capabilities of Rock Exotica's enForcer Load Cell. With this combination you can accurately monitor static forces remotely and record dynamic events with up to 500 samples per second. A graph of the force can be viewed directly on the iPhone but also sent as an email attachment for further analysis. Additionally it can be saved to cloud services such as Dropbox and Google Drive. App sold separately. * Not for use with steel cables or wire rope.